Leigh Bowe grew up riding the technical terrain on her neighborhood paper route in Wisconsin. It took some skills to be able to throw newspapers while riding staircases. In her adult life she has lived all over the United States and elsewhere. She continues to ride on the world's finest single track where she currently resides in central Colorado. 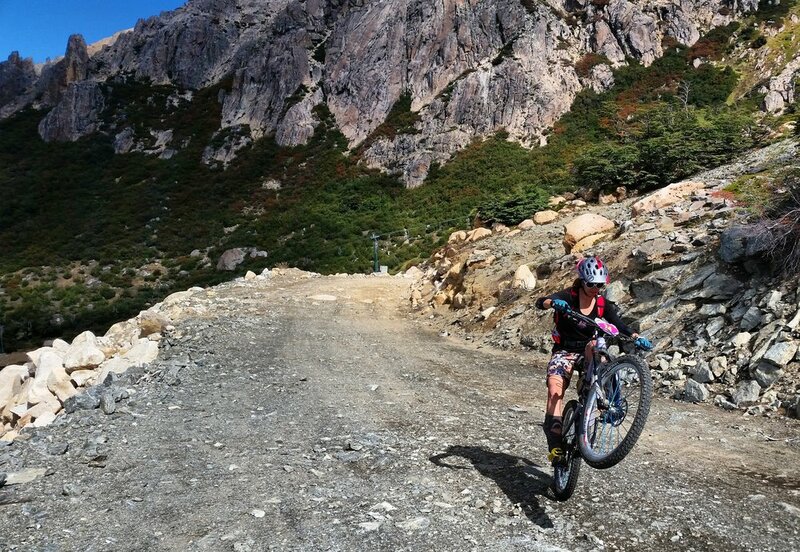 Leigh races Enduro, but she also dabbles in snow biking, cross country, and the occasional strider race as well. Each and every ride provides a new opportunity to work on polishing her mountain biking skills. To Leigh, mountain biking means health and wellness; it's her means of maintaining social, emotional, and physical vitality. She's that annoying person who's always trying to get people out for rides, even in blizzards. Leigh loves to spread her passion for mountain biking to other women and is stoked to ride with enthusiastic beginners. Leigh also works as a downhill instructor at Keystone Bike Academy, is on the ColoRowdies leadership board and volunteer coaches with The Cycle Effect. In her spare time, she is a family nurse practitioner at a busy family practice and an urgent care clinic in the mountains.